4.5 billion years old. Yet, gone too soon. In the short time I knew her, I would describe her as generous, hardworking and beautiful. Graciously offering everything in her ability to keep us happy. Diligently performing so we reap the benefits of her labour. Effortlessly reminding us to stay grounded in the vast of her presence. This commemoration pairs with regret as we mourn the loss of our planet at such an undeserving age. Today is Earth Overshoot Day. To put it simply, August 1, 2018 marks the day we exhausted all the Earth’s resources which were intended to supply us for the whole year. Moving forward we will not be able to replenish our resources at the alarming rate at which they are being exerted. Earth Overshoot Day is approaching earlier each year, drastically different from 30 years ago. We have no one to blame but ourselves for shamefully falling 152 days short of the calendar year. Merely 30 years ago, Earth Overshoot Day fared in December! Catering to human greed’s demands, it is estimated we would require 1.7 “Earths” to satisfy our current habits. This infographic identifies Country Overshoot Days. The good news is that not all hope is lost if we can unanimously work towards the #MovetheDate cause. For the price of some minor (and maybe some not-so-minor) inconveniences, it is feasible to push Overshoot Day. It comes down to rethinking our lifestyles pertaining our everyday choices: What should I eat today? How should I go to work today? What should I wear today? Here’s your chance to find out how you can make a difference in protecting our planet and its resources. Complete a Personal Overshoot Day quiz to see how you compare, click here. Group assignments, we have all been there, we have all done that. Often times, there is a repetitive pattern of key players we observe from group to group. Now, this is not as radical as it seems but I have broken it down. 1. The task is assigned. In the case of my example, we are made aware of climate change and all we need to do is save the environment!! Now obviously that is way easier said than done. Though on a serious note, we are encouraged to adapt sustainable lifestyle changes which contributes towards a cleaner, greener future for all. Our instructions tell us we can have a better planet if we are willing to put in the work. These include being more mindful of our waste, can we recycle it? Compost it? Donate it? Reducing our waste can significantly decrease the growth of landfills. How about alternate modes of transportation and choosing public transit, biking or walking to our destination whenever and wherever it is possible. Basically, we have our work cut out for us and it comes down to whether we are willing to do what it takes to complete our task. 2. We meet our group members. For the purpose of my example, we are going to pretend we are assigned our group members and we did not have a say in who we wanted to work with, because that is the reality of it; We share this planet with billions of other humans, or in this case, our “group members”. With such a large group, it brings immense diversity and conversation. So here is where it might get a little complicated. Bear with me as I dwell into the similarities. The Group Leader: As with almost every group project there is always that one person who pulls the group together and reminds them of what needs to be done. A project manager, if you will. In relation to climate change and the environment, these individuals can be policy makers, environmental leaders, lobbyists and those who are militant in protecting our planet. 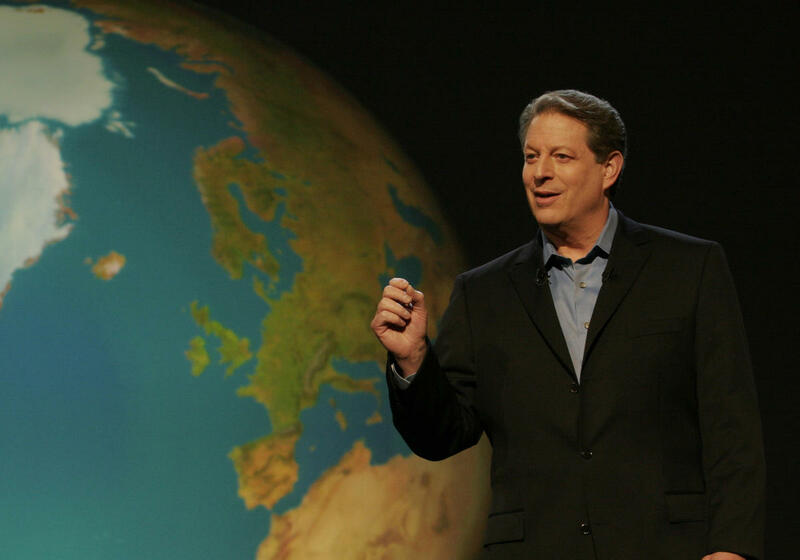 For a young teenage Vennila, she found this person in Al Gore after being left speechless in discovering the state of our planet in his documentary, An Inconvenient Truth. A little cliche, yes, but it spurred me to further pursue my interest about the planet’s state. The Diligent Worker: Then we have those who care about meeting the end goal because the latter consequence does not seem very appealing. A failing grade or a failing planet, we want neither. For the most part, this demographic are those who are citizens doing their part by making eco-friendly decisions. It’s you, it’s me and it’s our network of individuals who have accepted the challenge posed to us by our planet and doing the needful to prevent global warming from worsening. This is the best time for us to take action because with every procrastinating moment, we are a little more defeated as the global temperatures continue to rise, rainforests being clearcut by the minute and polar ice caps melting at rapid speeds. There is no redeeming all-nighter for this project because the attention and priority it needs is by far one of the most important concerns humanity is fighting at this time. The Slacker: Finally, our least favourite… those in the group who do not care much for the project and contribute next to none. In this particular case, this refers to the climate change deniers. As much as we are made aware of the situation we are in, climate change deniers refuse to accept the reality and turn a blind eye to the issue. However, climate change is a global concern and affects everybody as it knows no boundaries or exceptions. As victims of our own precedents, it is ultimately on us on how we choose to approach this ever growing concern. It starts with raising awareness and educating the public that we should do our due diligence to slowing global warming as inevitable as it may be. How extremely saddening to see one of the world’s most powerful leaders reveal himself as a climate change denier and actively rescinding environmental regulations. Just days ago, President Trump signed legislation to undo Obama’s Stream Protection Rule which prevented waterways from being exposed to coal waste. However unfortunate this news comes to us, we must remind ourselves that we have to remain persistent in our fight to protecting our planet. Consider this assignment to be one that is ongoing and there is no due date or deadline besides fighting to leave a better planet for generations to follow for as long as we walk this Earth. Our daily actions and decisions mandate the kind of future we want to live in. I hope you are the kind of individual who wishes to see Earth’s prosperity for countless years to follow, with bountiful resources, clean air and water and happy, undisturbed animals. With the technology we are introduced to, we have the potential to live in an A+ planet but it is up to us that we get there. Let’s go, team Earth!